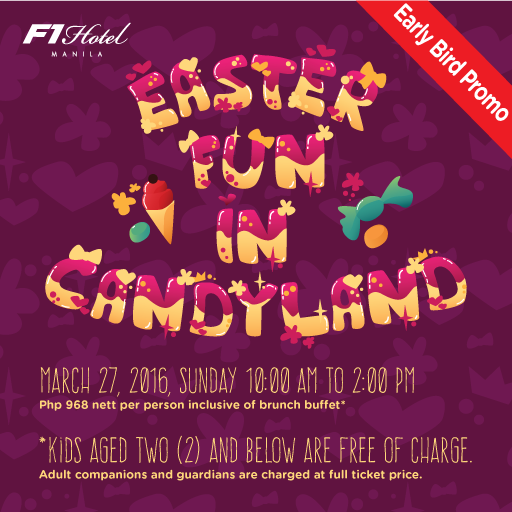 F1 HOTEL in BGC: An Early Easter Special and PROMOS! F1 HOTEL in BGC has been a second home for me and my friends in The KTG. 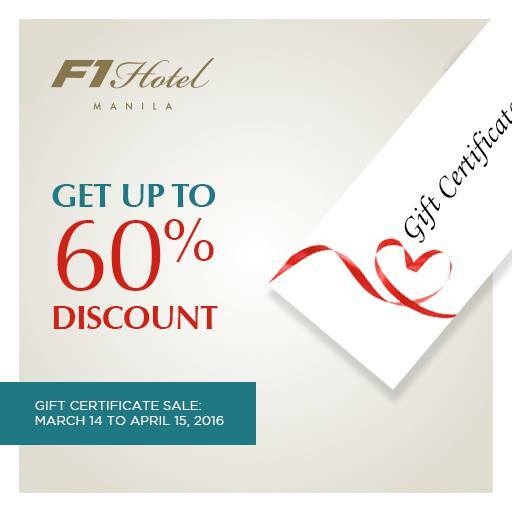 My first ever hotel invite has came from F1 HOTEL BGC so it is close to my heart and I love it to bits. Memories were made and I was happy with the success and the innovation it has received through the years. A week ago, I was billeted to one of their City Suite Rooms that has a spacious living room separated from the bedroom. I appreciate the long study table and the fast internet speed. I was able to do a little bit of work on my mac. Met up with the gang for an Early Easter Celebration in the PREMIER LOUNGE. Here, visitors could also check in and have a quick snack. If in case you see the butterscotch, get a lot. It is so delicious that we kept on asking for more. For lunch, Chef Decker invited us to experience the new dishes and menu that F1 Hotel has to offer. Aside from the Crispy Lechon with dinuguan rice, they also have a number of viands that would make you enjoy your visit. The Shrimps were delicious and wasn't as spicy as one would believe. I enjoyed the grilled belly as the meat was marinated well and flavorful. Burger and pizza and even Fried Chicken were served. Perfect for the kids at heart. Aside from these, they offer a lot of seafood that you could have cooked. I wasn't really expecting a lot but looks like things have improved. I came out F All Day dining full and in food coma status. For the kiddos, they have installed a PLAY ZONE just outside the Restaurant. Here, they could enjoy and let out some energy while the adults enjoy lunch or dinner. Outside three different pools cater to the guests. For kiddies, almost kiddies and even a lap pool. Aside from the pool, an alfresco lounge is set up for guests to relax at. Since health is wealth, a visit to the gym is important. Thankfully, the gym in F1 is open 24/7. Complete with the essentials. Also, they offer SPA services for couples and singles like me. I was lucky enough to experience an in-room massage for a relaxing treat. Genalyn has hands of an angel and I was able to sleep through the massage. I had eyes set on one dish. The Roast beef. Succulent meat. Well flavored and tender. Since it was too much, I went for a quickie and had salad too. That was before I saw the chicken and the huge shrimps that greeted us all for the taking. Dessert was definitely a sweet ending. Pop Cakes and small touches along with fruits were served. The next day, breakfast was just perfect. Everything I would like to see were there. and Danggit or crispy salted fish. I enjoyed the quick staycation and the excellent service F1 gave out. Will Definitely Be BACK! 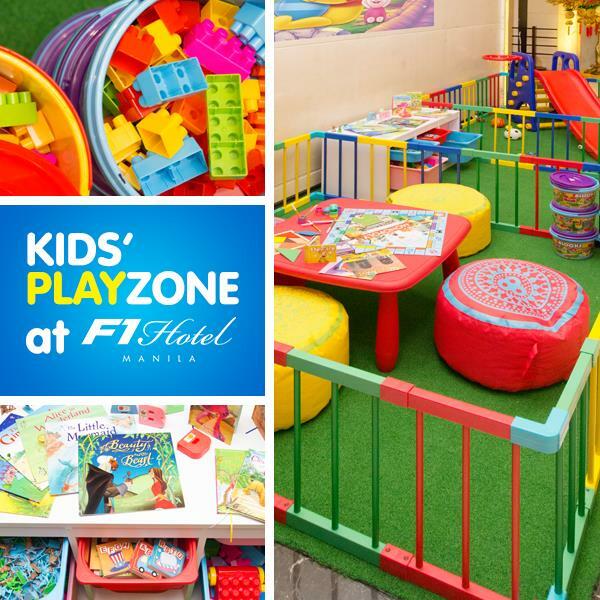 As I mentioned, F1 HOTEL has a couple of promos that would let you enjoy and relax without breaking the bank. *Kids aged two (2) and below are free of charge. Adult companions and guardians are charged at full ticket price. Disclaimer: Wrote this based on my experience. Was invited by the kind people of F1 Hotel.